North Korean leader Kim Jong-un (right) accompanied by younger sister, Kim Yo-jong. 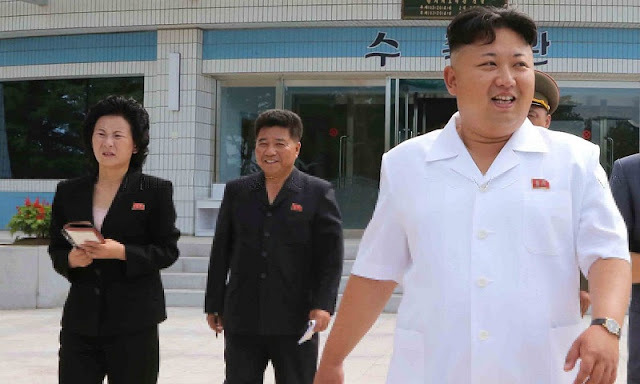 Kim Jong Un’s sister, Kim Yo Jong, was made an alternate member of the politburo - the top decision-making body over which Kim Jong Un presides. Her new position indicates the 28-year-old has become a replacement for Kim Jong Un’s aunt, Kim Kyong Hui, who had been a key decision maker when former leader Kim Jong Il was alive. “The large-scale personnel reshuffle reflects that Kim Jong Un is taking the current situation seriously, and that he’s looking for a breakthrough by promoting a new generation of politicians,” the ministry said in a statement.